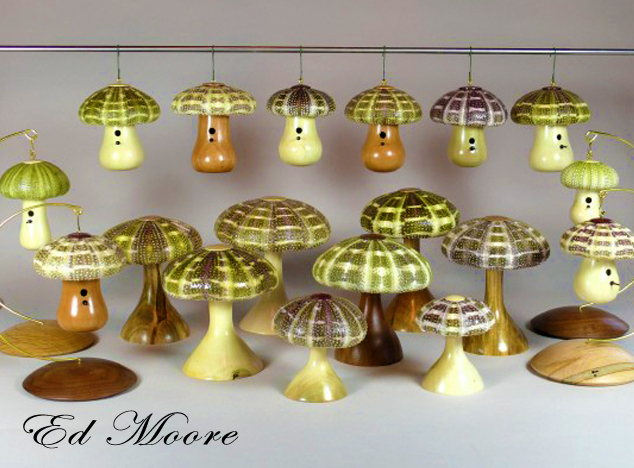 ED MOORE…. HE WILL BE MISSED! Edit ED MOORE…. HE WILL BE MISSED! I am sad to say that our dear friend Ed Moore has passed away! When I spoke with him last, he was able to tell me that he was battling and he was feeling good. I also remember to have mentioned that I did NOT have one single turning from him. 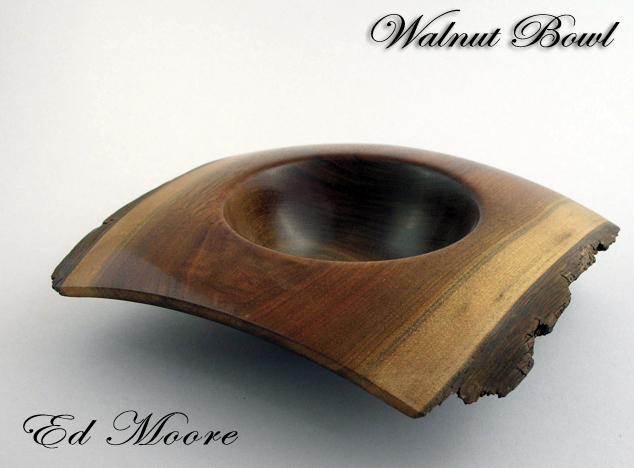 He asked me what did I want… I said to him: If I am going to ask, send me that gorgeous black walnut bowl you have on your website. He then replied: Well, if is still here I will send it to you. Today as the phone rang, it was our good friend Don Riggs leaving me a message that Ed had passed away. I did not pick up the phone, because that exact moment, my wife Karin walked him with a package from Ed Moore. We opened and inside was the black walnut bowl and a sweet little birdhouse. May God bless you Ed… You will always be in my heart. I remember when I was once again getting ready to re-launch Glaser Hitec tools and designing the website, I decided to look for past comments about Jerry’s accomplishments. I ran into a wonderful review written by a man named Ed Moore. When I contacted Ed to ask for his permission to reproduce his review, I had no idea on how talented and influential Ed has been in the woodturning community. The more I talked to him, the more I realized that Ed was not only a kind and decent person, he was als0 a mentor to several well known turners as well..
Ed was also a great mentor for the folks at John C. Campbell school, where he showed people how to turn fantastic Christmas Ornaments and other beautiful projects. I never had a chance to attend one of Ed’s classes, but people I spoke to, have share with me their excitement and satisfaction. There’s a longstanding tradition of woodworking in Ed Moore’s family – from generations past it is being carried on beyond him by one of his sons today. Yet little did Ed know that turning gifts for his grandfather when he was young would lead to him becoming an accomplished woodturner later in life. Serious woodworking for Ed began in the seventies while he was a mathematics professor at the U.S. Naval Academy and he still remembers the excitement when the first issue of Fine Woodworking Magazine came out. A close professional association with EI Design, the designers of choice in the Annapolis area, gave Ed an opportunity to make many interesting pieces of furniture over a period of eight to ten years. One notably elegant piece Ed made, shown below, was a Hepplewhite inlaid mahogany vitrine that contains the memorabilia of the Maryland Court of Appeals, which is Maryland’s highest court. In 1978, Ed wrote an article on the construction and veneering of a Parsons table that appeared in Fine Woodworking. Later Ed wrote a second article for FW on Shop Math. One of his tables was selected for Design Book Two. Family interests took Ed out of the shop for awhile and when he returned his thoughts shifted towards woodturning. As a result he joined two clubs, Capital Area Woodturners and Chesapeake Woodturners. These clubs afforded Ed a chance to do two well-received demonstrations for the Renwick Museum of the Smithsonian Institute. 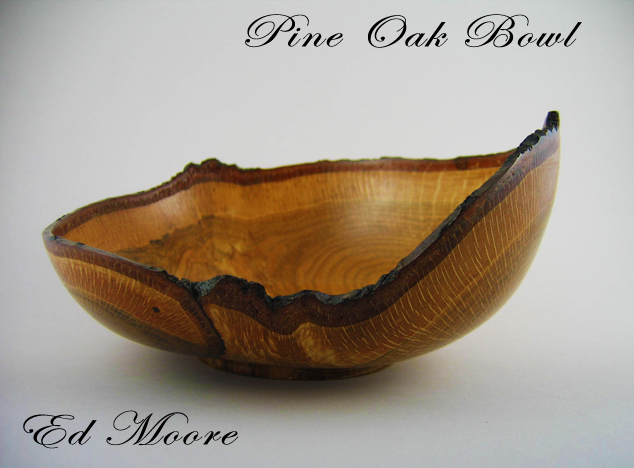 A show held by the Chesapeake club exposed Ed’s work to a collector of burls, who later commissioned Ed to make a hollow-form from a piece of Afzelia Xylocarpa burl. This piece, pictured below, was prominently displayed when the collector’s burls appeared in a special show at Maryland Hall for the Creative Arts. The year 2002 was momentous for Ed and his wife Carolyn as they each retired and moved to Burnt Chimney, Virginia, to pursue their respective crafts. Ed quickly established membership in the Blue Ridge Woodturners and discovered that a few in that group lived near him in the vicinity of Smith Mountain Lake. In 2004, after having settled into their new community, several significant events occurred: Ed was designated as Professor Emeritus by the Naval Academy and the Smith Mountain Lake Woodturners club was formed. Ed has served as Program Director of SMLW and has hosted Skill Enhancement sessions for them in his shop. The growth of the club in numbers and the improved skills of the members have been very gratifying. Ed’s work has focused on natural-edged bowls, turned boxes, small bowls and plates, and ornaments. Domestic hardwoods from downed trees destined for the woodpile are used for the natural-edged bowls. As Ed harvests the oak, cherry, walnut, ambrosia maple, and elm, discovering a burl on the tree is like finding a pearl in an oyster. I am proud and honored to be able to call Ed my personal ELF. He is a great guy and I certainly treasure him as a friend and one of the best woodturners I know. 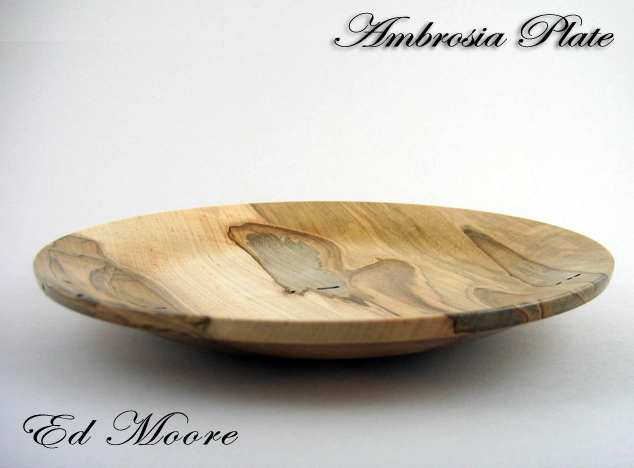 I encourage you to visit Ed’s website to learn more about him and to see his beautiful accomplishments as a woodturner and woodworker. There is not enough space in this website to showcase his beautiful creations. I love you Ed Moore!